Due to personal problems this review has become sincerely delayed, my apologies to all involved! Members of The Flower Kings have always been very active in side-projects as well, apart from all their input for this major prog rock band. 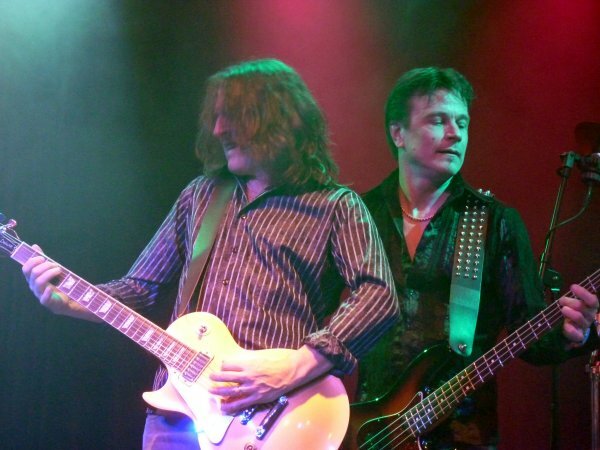 But some time ago the activities of this band have been laid on a thick layer of ice by band leader Roine Stolt who has been very busy with his other bands ‘Transatlantic’, ‘Agents of Mercy’ and ‘3rd World Electric’ and contributions to several albums by other artists. Therefore it had become a sort of necessity, both musically as financially, for the other band members to embark on some other (solo) projects as well. 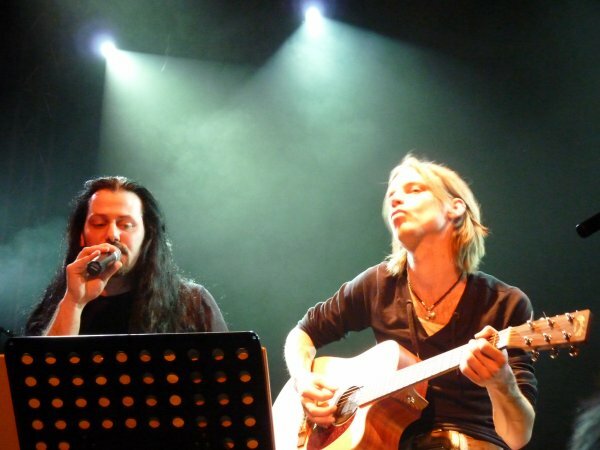 Hasse Fröberg saw this as the ideal moment to start a band of his own, something that was on his (and his fans’) wish list already for some time. And this band wasn’t just created to fill up the time, it is a serious permanent addition to the prog rock scene! And although the band’s name wasn’t the highlight of creativeness, the music actually was; for many Flowerheads a new taste to acquire. The first album ‘Future Past’ saw the day of light in 2010 and now was followed by a small tour. 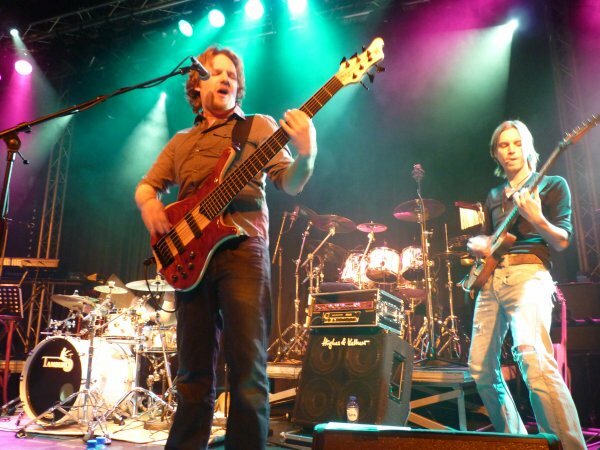 On this only Dutch gig Hasse Fröberg and the Musical Companion were supported by fairly new Dutch prog rock band Penny’s Twisted Flavour who released their first album one year ago. 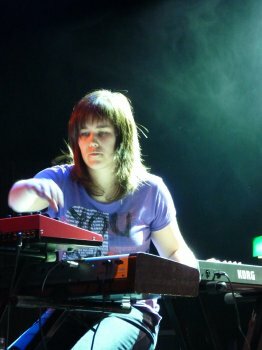 They consist of Mark Bogert (guitar), Harmen Kieboom (drums), Matthijs Kieboom (bass) and Wendy Heuvelmans (keyboards). They make a classic hard rock based modern kind of prog rock with nice synths added. On the stage the symphonic element got a bit lost as the emphasize was laid on the powerful rock side of the music; certainly not less entertaining, but musically seen less interesting to my keys-loving ears. The two people on stage that mainly jump to the eye are the expressive guest vocalist Rodney Blaze who stepped in behind the microphone because the regular singer left the band a few months before and was not replaced yet and the not often seen picture of a girl behind the keyboards. 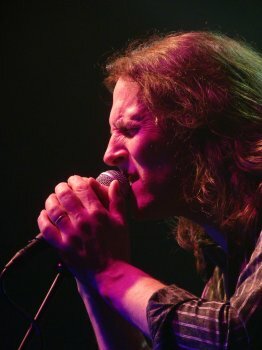 The hired in vocals and performance of Rodney certainly contributed heavily to the more rockier sound since his voice resembles that of David Coverdale quite a lot as he’s also singing in a classic hard rock style and somewhat from the back of his throat thus creating a warm, powerful sound. As Penny’s Twisted Flavour have lots of instrumental parts in their music and also had to do a total instrumental gig a few months ago when left without a singer this set also included a fair amount of instrumental parts and to my opinion they flourish best at that, even though Rodney’s singing and stage show was really impressive. Penny’s Twisted Flavour left behind a good impression and listening to the samples on their website I think we’ll hear more of them. 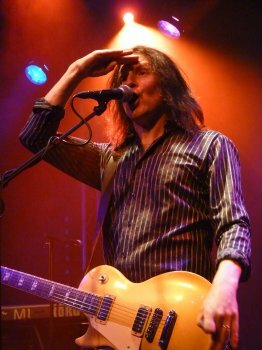 By the time Hasse Fröberg and his band arrived on stage the hall had filled up a bit, still far from sold out, but at least enough people to get the full concert experience and a noticeable reaction from the crowd. With just one album to choose tracks from it was expected that most of the album if not all would be played. As the album ‘Future Past’ was pretty well received by the prog audience and Flowerheads in particular the anticipation for this live show was pretty great. People who expected to experience a truly prog show with loads of symphonic elements might have been a bit disappointed from this concert though. Where the studio album still contains several progressive rock and symphonic elements when played live on stage the overall sound moved more into the rock and blues-rock direction. Like many prog bands also this one seems to feel the urge to really rock when playing live on stage and thus giving less attention to the symphonic elements in their music. A fact even more proven by the location of the keyboards of Kjell that were a bit hidden in the dark (difficult to take a good picture with my average camera) in the back on the left side of the stage. When Hasse introduced the band it was quite funny that he sarcastically introduced Kjell as the man that often goes to the gym; something clearly not the case considering the massive body of this friendly hairy giant. Even though I was one of those in the audience that would have preferred a more symphonic show I must nevertheless say that he show in itself was excellent and these musicians know what they’re doing. They obviously set out to rock the house and to do that with great pleasure and they very well succeeded in that. 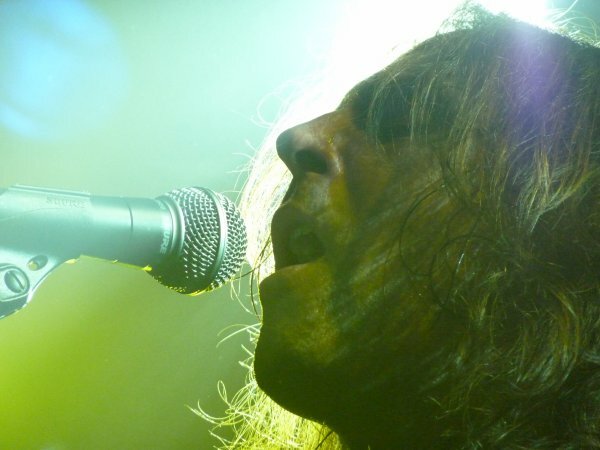 Hasse clearly enjoys very much now to be the vocal point of the band and although he has manifested himself very well also within The Flower Kings it becomes very clear today that being the only singer and the frontman suits and pleases him very well. Within The Flower Kings he mostly sings the more rockier parts and with his own group it’s clear that the total focus of the music lies more on that and has been written with just Hasse as the vocalist in mind. 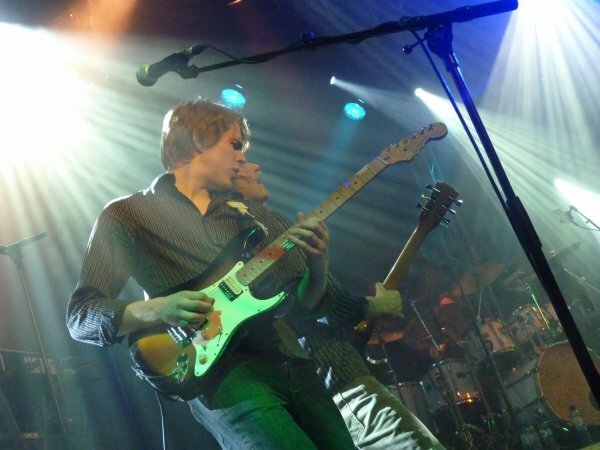 Both as with his singing as with his guitar playing Hasse throws himself totally into the matter and the passion drips from every note and every expression on his face. This truly is a musician dedicated to his performance. The other band members don’t appear to be so ecstatic; they all deliver their contributions far more relaxed. And they all also join in for some backing vocals now and then, especially when some vocal harmonies were asked for. But even though they’re generally not so expressive as Hasse it’s not said they’re not into the concert, but they just let Hasse do all the expressive stuff and enjoy their playing in a more modest way, although I did notice that guitar player Anton also had his moments of intense connection with the music resulting in him totally drifting away mentally. What I witnessed today was a very enjoyable concert by some first class musicians and even though the emphasize was not so much laid on the symphonic side of the music, the rock side of it gave more opportunity to the musicians to excel in their musicianship and bring a truly progressive rock show to the stage. Seeing Hasse fully enjoying himself playing his own music with his own band is also a pleasure for the audience.